In today's kitchens cabinet space is at a premium. 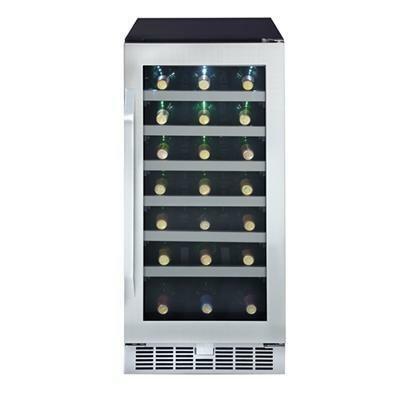 This Silhouette Select wine cooler provides storage for 34 bottles while its 15" footprint is not intrusive. 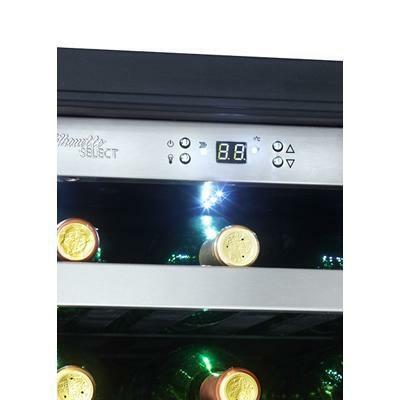 The white LED and sleek stainless steel door frame adds an elegant touch, and the Low E glass, roller glide shelves and vibration reduced cooling system protect you collection. Total 3.28 Cu. Ft. / 0.09 cu. m.
Additional Information LOW E glass door helps protect wine from harmful UV rays and maintains a more consistent internal temperature, Alarm will sound if temperature fluctuates excessively or door is left ajar. 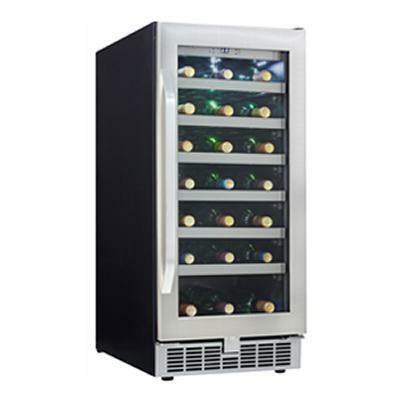 Warranty The Silhouette Select wine cooler comes with a 24-month in-home warranty on parts and labour. Installation and yearly maintenance (cleaning) of the fridge are not covered under the warranty.